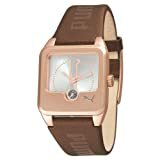 Puma PU100212001 Puma Sls Star Dust Brown White Ladies Watch PU100212001. 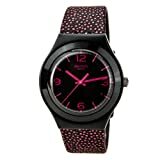 Ladies style featuring rose gold aluminum case. Brown leather strap. White dial. 5 ATM.